I can still remember it as if it were yesterday - though it has now been an entire decade. It's amazing how easily the the mind can recall events of this magnitude with clarity and conciseness, though the years pass by with ever increasing haste. It was a little before 7am and I was driving in my black 1983 Mazda RX-7 from the chapel where I attended early morning seminary to Eastlake High School in Samammish, WA. I was listening to KISS 106.1 on the radio and that's when I heard about the tragic events that were unfolding. It didn't make sense, I could barely understand what was being said, all the DJs were talking over each other. At school we were all rushed into our homeroom/advisory where we watched live footage on the TV of what is now referred to as "9-11". Shortly thereafter we were dismissed to class and I still had to take a math test. But the TV was always on. Always reminding us of the horror that was going on in New York. The tragedy. The calamity. The devastation. So they destroyed our buildings so deliberately. They thought it would, but to no avail. "O'er the land of the Free, and the home of the Brave." I hope we can all take a few minutes today to remember the fallen soldiers and their families and how much was sacrificed. Though there may be hatred and sadness in the world, there is also lots of love and happiness. Let's focus on the good. Our cup should always be half full. Hello I am from Brazil!!! 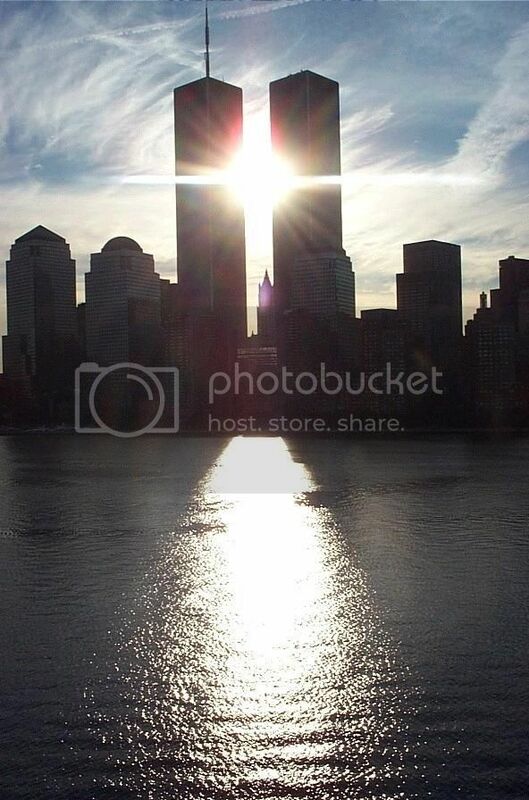 I love your blog....I will never forget 9/11 too! Like you, I shared my thoughts about that tragic day in my blog and remember exactly where I was...We.will.always.remember. LOVE the poem from the 16-year old boy! You called me from school on that day and asked if we were all going to be okay. I promised you that we would.